John Gould's family first settled in Maine in 1618, so by the time he came along in the early 20th century, the Gould's were well steeped in the vernacular of the region, and his first inheritance was the turned-around, honed-down, and tuned-up language of his farming neighbors who seldom strayed beyond the village store. 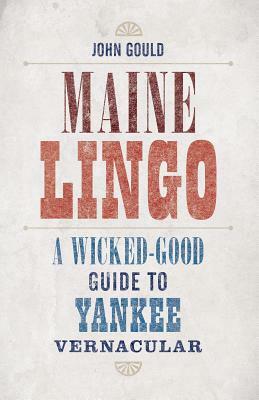 Maine Lingo was first compiled in 1975, when TV, radio, and other leveling media had begun to seriously erode regional speech distinctions, and this dictionary will furnish anyone interested in Maine or regional dialects with the terminologies of regular folks, from lobstermen to farmers to woodsmen. Altogether it is a fun and fascinating collection of lore, humor, and straight information that will have you able to tell your billdad from your wazzat in no time flat.